Beria proved that the money was not spent in vain. 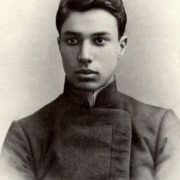 In 1915 he graduated with honors from the school and entered the Baku secondary school of construction. 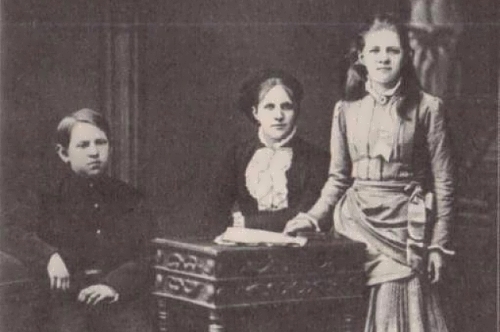 Becoming a student, he took his sister and mother and moved to Baku. So the boy also worked at the Nobel oil company. In 1919, Lavrentiy Pavlovich received a diploma of architectural engineer. 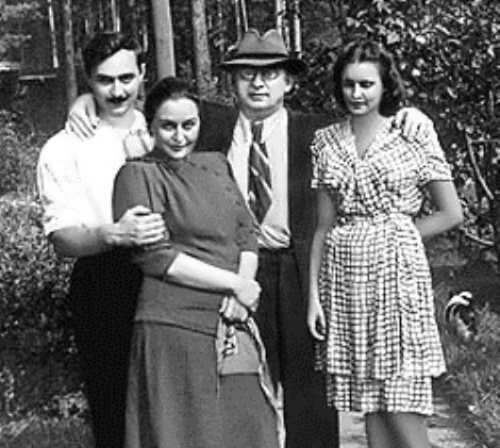 During his studies, Beria organized a Bolshevik faction and took an active part in the Russian revolution of 1917, while working as a clerk at the Baku plant Caspian Community White City. Also he led an illegal communist party and organized an armed uprising against the government of Georgia, for which he was imprisoned. In 1920, Beria was deported from Georgia to Azerbaijan. But literally in a short time he was able to return to Baku, where he became a secret agent of the Baku police. His career developed rapidly, beginning with the deputy chairman of the Azerbaijani Cheka (Secret police) and ending with the post of People’s Commissar of Internal Affairs of the Georgian SSR. In the late 1920s, Lavrentiy Pavlovich managed to get acquainted with the head of the USSR, Joseph Stalin. 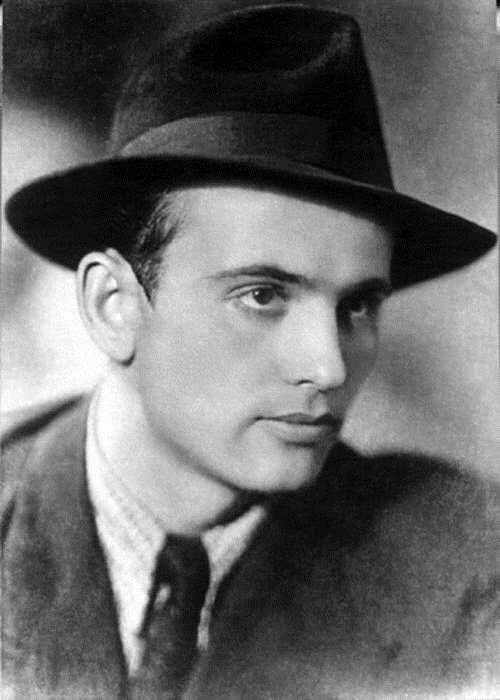 Then, in 1931, he became the first secretary of the Central Committee of the Party of Georgia, and already in 1935 he was elected a member of the Presidium of the USSR. 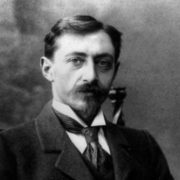 In 1937 the politician reached another high step on the way to power and became the head of the Tbilisi City Committee of the CP of Georgia. 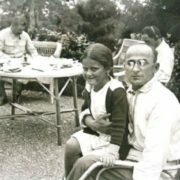 Becoming the leader of the Bolsheviks of Georgia and Azerbaijan, Beria won the recognition of the people and comrades, who at the end of each congress glorified him. At that time, Beria managed to develop the national economy of Georgia, made a great contribution to the development of the oil industry, put into operation many large industrial projects, and Georgia became an all-Union resort zone. To tell the truth, the Georgian economy was the most prosperous in the country. 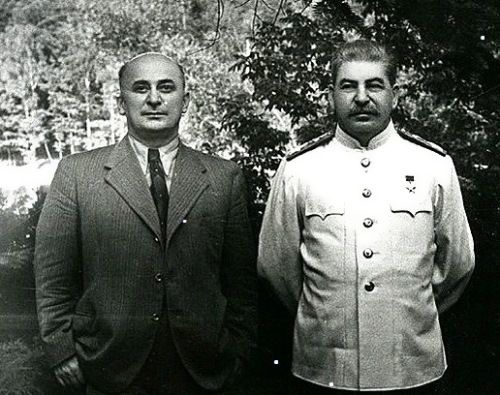 True fame came in 1938, when Stalin appointed him the head of the NKVD and Beria became the second man in the country. Historians argue that such a high position politician earned thanks to the active support of the Stalin-era repressions of 1936-38. The Great Terror destroyed “enemies of the people.” In those years almost 700 thousand people lost their lives, they were subjected to political persecution because of disagreement with the current authorities. 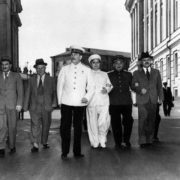 At the same time, it was Beria, in the opinion of the majority of historical experts, who could put an end to large-scale Stalin-era repressions, as well as free many military and civil servants. 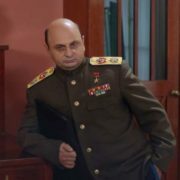 During the Great Patriotic War, Beria became a member of the State Defense Committee. Only he made final decisions on the production of weapons, aircraft, mortars, engines, as well as the formation and transfer of air regiments at the front. 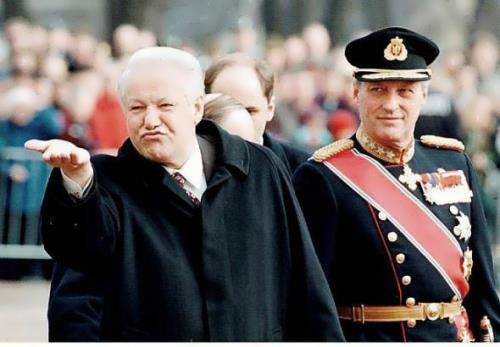 Lavrentiy Pavlovich launched the so-called “weapon of fear”, resuming mass arrests and the public death penalty for all soldiers who did not want to fight and spies who were captured. 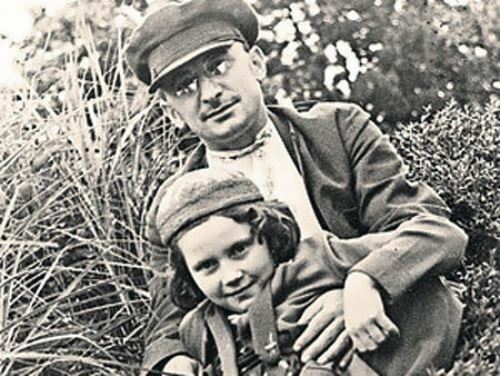 After the war, Beria took up the development of the nuclear potential of the USSR, but at the same time he continued mass repressions in the USSR and the majority of the male population was in concentration camps and GULAG. It was those prisoners who were involved in military production in conditions of strict secrecy. With the help of a team of nuclear physicists under the direction of Beria and a well-coordinated work of spies, Moscow received a clear instruction on the structure of the atomic bomb created in the United States. The first successful test of nuclear weapons in the USSR was in 1949 in the Semipalatinsk region of Kazakhstan, for which Lavrentiy Pavlovich was awarded the Stalin Prize. In 1946, Beria became deputy chairman of the USSR Council of Ministers. A little later, the head of the USSR saw him as his main competitor, so Joseph Vissarionovich began to check the documents of Lavrentiy Pavlovich. After the death of Stalin, Nikita Khrushchev organized a conspiracy against Beria. 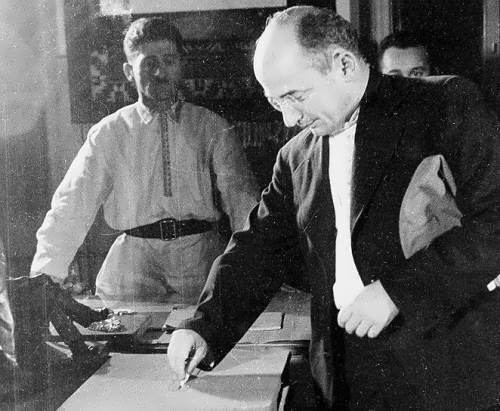 In July 1953, Beria was arrested at a meeting of the Presidium. He was accused of having connections with British intelligence and treason. 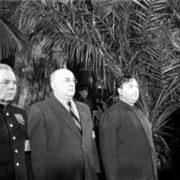 This became one of the most notorious cases in the history of Russia among the members of the upper echelon of power of the Soviet state. 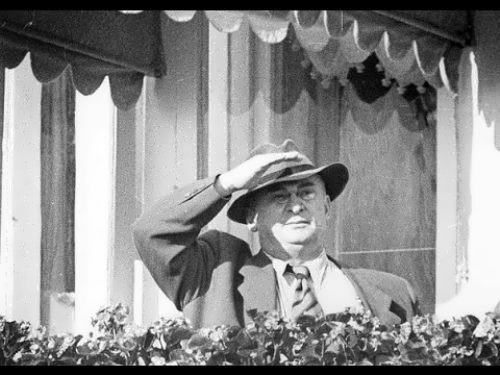 The trial took place from 18 to 23 December 1953. The former head of the NKVD was charged with a number of illegal murders, espionage, repression of 1937, rapprochement with Adolf Hitler, treason. 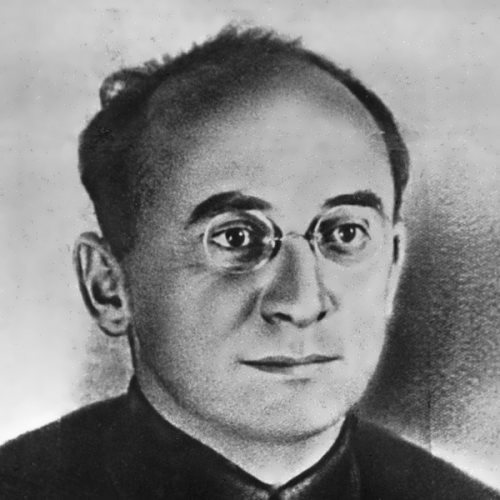 On December 23, 1953 Beria was executed in the bunker of the headquarters of the Moscow Military District. After the execution, the body of Lavrentiy Pavlovich was burned in the Don Crematorium, and the ashes of the revolutionary were buried at the New Don Cemetery. 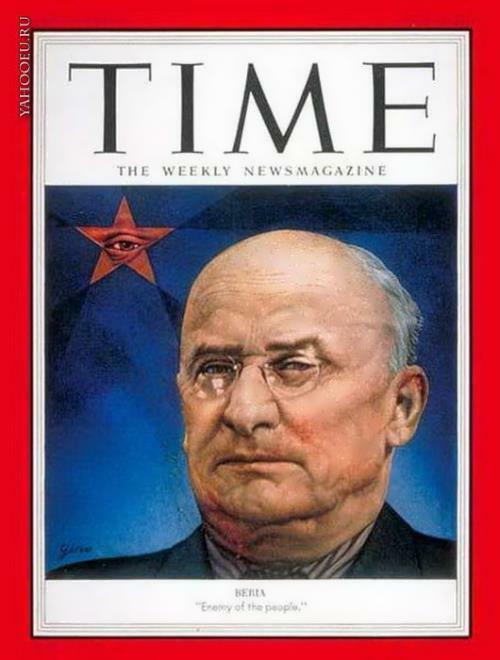 According to historians, the Soviet people considered Beria a bloody dictator and tyrant. And in modern society he is accused of mass repression of more than 200 thousand people, including a number of Russian scientists and outstanding intellectuals of the time. Also, Lavrentiy Pavlovich is credited with a number of orders for the execution of Soviet soldiers. He became the most controversial political figure in the USSR. 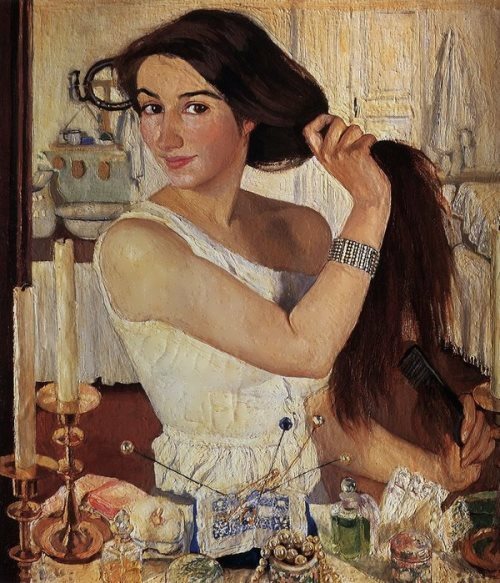 He was married to Nina Gegechkori (1905-1991). Their son Sergo was born in 1924. 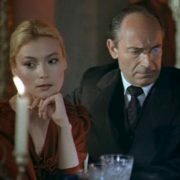 In recent years, Beria had a second (unofficial) wife. He lived together with Valentina Drozdova. When Lavrentiy met Valentina she was a schoolgirl. Drozdova gave birth to their daughter Marta.